Justin Timberlake seems to be just about everywhere these days, so it shouldn’t have been a surprise when his latest album’s release party turned up on The CW network. 36 of Clay Paky’s new Sharpy Wash 330 luminaries were selected by lighting designer Nick Whitehouse to support the show. 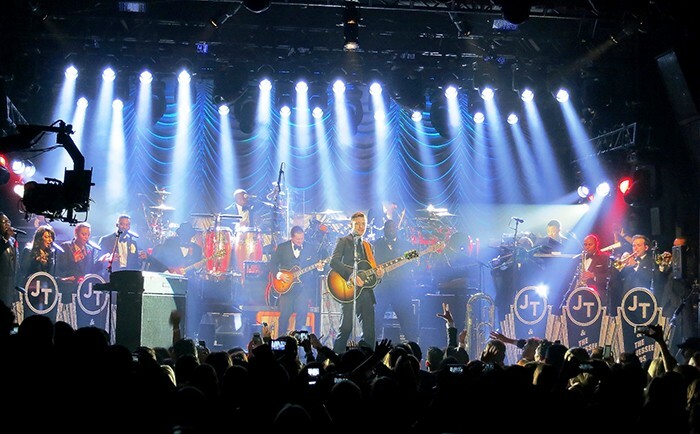 The one-hour special "Target Presents the iHeartRadio Album Release Party with Justin Timberlake" was recorded at the El Rey Theatre in Los Angeles during celebrations for the singer’s "20/20 Experience" album. 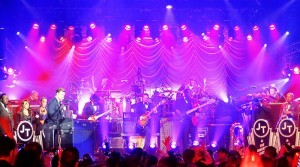 The party included a live, national 30-minute radio special plus performances and interviews, which were recorded to air the next evening on The CW where fans also saw the world premiere of Timberlake’s new music video. The special was the first show on which Whitehouse used Sharpy Wash fixtures. Clay Paky’s Sharpy Wash 330 is a compact, lightweight 330W washlight, with the luminous efficiency and optical performance of a 1000W fixture. It is extremely silent and quick and is fitted with a complete CMY color system, special colors, 6.5°-48° zoom, mechanical dimmer, beam shaping filter and motorized top-hat. It is an eco-friendly light, allowing considerable running and consumption cost savings. Whitehouse wanted to give the El Rey Theatre an "old-school, Cotton Club look" and opted to use the Sharpy Washes as soon as they became available. Timberlake appeared at several other club dates, and "by the time we got to the El Rey the lights were ready," Whitehouse recalls. "I wanted to give the show a retro look; there wasn’t much movement, but there were a lot of color changes. I used the Sharpy Washes like par cans configured in groups of four; they gave that nice thin beam with frost in there." Whitehouse says: "I love all the Sharpy fixtures, and the Sharpy Washes performed even better than I expected. The show was a nice testing ground for future arena and stadium shows where Sharpys and Sharpy Washes will comprise part of Whitehouse’s lighting complement." 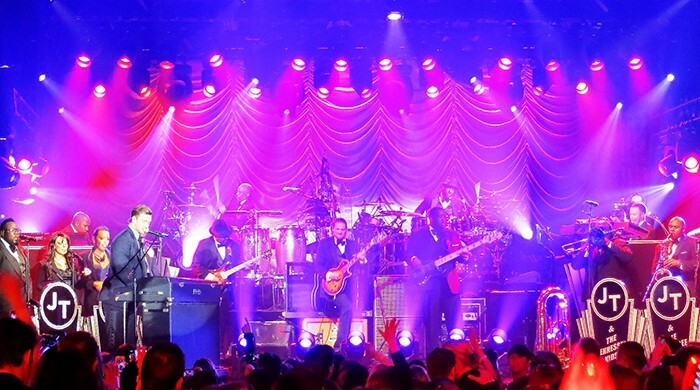 George Masek, A.C.T Lighting’s vice president, automated lighting, adds: "We've always been a fan of Nick's work - he's always doing something cutting edge and different with the equipment he uses. We were excited when he chose the Sharpy Wash to support this production because we were sure it would be a great US debut for this tremendous new fixture and we weren't disappointed." Francesco Romagnoli, Clay Paky area manager for North and Latin America, concludes: "We’re so please to see our new Sharpy Wash fixtures on so many high profile shows. Nick has always been a great user of our products and this show is an excellent example of that."